Towering Gothic arches of the St. Johns Bridge provided a dramatic backdrop for Saturday’s wedding at Cathedral Park. Sweethearts, Rachael and John, said their vows beneath the iconic bridge as family and guests shared the sweeping view. 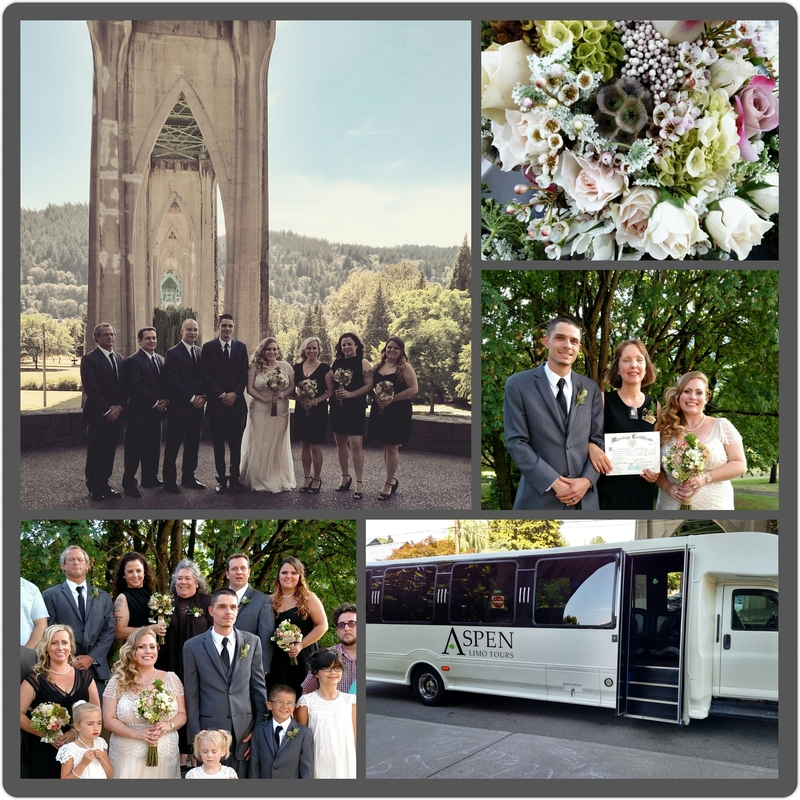 The bridal party arrived in style and kept cool in the limo bus as temperatures reached to the mid-80’s. Gray and ivory were the predominant wedding colors and the gorgeous flowers (hand crafted by the girls) included soft shades of ivory, gray, pink and green. For their tree planting unity ritual, the couple chose a gingko tree – the oldest tree on the planet – representing endurance, adaptability and harmony. A reception was held at the North Star Ballroom. After the weekend celebration, the newlyweds returned to their Seattle home (the groom proposed on the giant Ferris wheel at Pier 57) and plan to honeymoon in South America next year. Congratulations, Mr. & Mrs. Prieto! May the memory of your wedding day sweeten your love for a lifetime.